If you’re searching for tips on how to throw a memorable party, that will impress your friends and family members, continue reading to discover a few handy tips on how to throw a fun-filled event. Never make the mistake of trying to clean your entire home, before the day of your event. As tidying up may take longer than you expected and some of your guests may turn up at your home early. If you’re short on time, you may also want to consider hiring a professional cleaning company to clean your home for you. If your party is a success and runs into the early hours of the morning, one or more of your guests may be too tired to drive home and may appreciate getting to spend the night in your guest bedroom. So, it’s well worth ensuring that your guest bedroom has all the necessities. This includes having a bed made up with comfy bedding and pillows such as the ones you can find at Julian Charles and that you’re able to provide overnight essentials such as clean towels, toothpaste, and a brand-new toothbrush. One easy way to make your guests feel special is to show them that you remember their personal preferences by making sure to provide each of your guests’ favorite snacks. As an example, if one of your close friends loves sliders, which are mini burgers and another of your friend’s loves bruschetta, you may want to serve sliders and bruschetta at your party. It’s well worth sitting down and compiling a playlist of music which you think your guests will enjoy listening to. Remember to choose tracks that the vast majority of your guests will enjoy, instead of choosing edgy tracks that only a few members of your party will enjoy. If you’re unsure of what tracks to choose, opt for hits which are charting on the top 40 or text each guest to provide one track that they love. 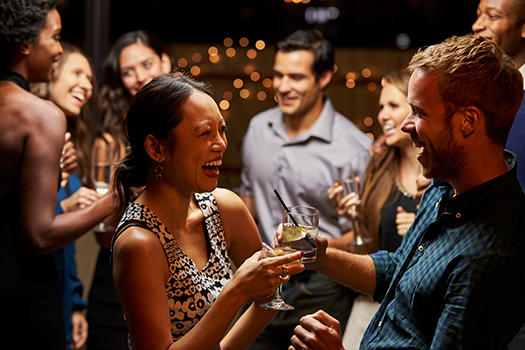 If some of the guests which you’ve invited have never met each other, you may want to organize a few fun icebreakers, to help your guests get to know each other. As an example, you may want to play a game of cards or Cards Against Humanity, in order to break the ice. If you really want to wow your guests, why not prepare simply goody bags for your guests to take home as a memento of your party? As an example, you may want to consider filling brown paper bags with little gifts such as high-quality chocolate and Polaroid photos of your guests. If you’re a keen baker, you may want to consider popping a few home-baked treats into each of your guests’ gift bags. So if you’re looking to throw a memorable party, it’s well worth using the six tips listed above, to throw your best party yet!